The one appliance in the kitchen that is often taken for granted is the refrigerator. This unit simply just runs and typically needs cleaning once in a while. However, units that are not cleaned regularly may start to make an unusual noise and use more energy. 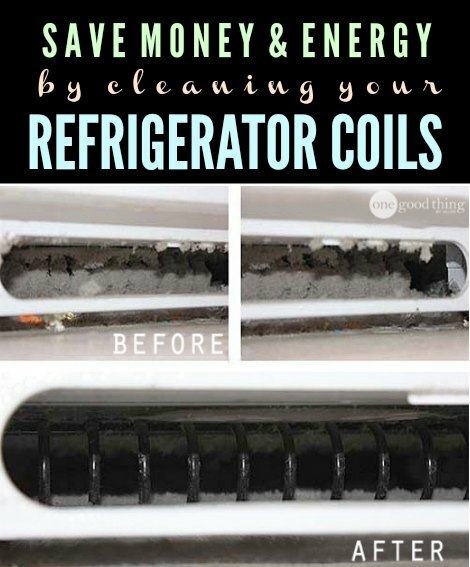 A simple way to save energy is to clean the refrigerator coils. Refrigerators that are not maintaining the proper temperature typically have some type of issue and is why energy use increases. If you see utility bills start to increase more than normal, then the refrigerator may be to blame. Cleaning the refrigerator coils will help maintain efficiency and reduce energy usage. The refrigerator needs air to operate correctly. If the refrigerator coils are blocked with debris, then your unit needs to work harder to maintain the proper temperature. You can find the coils at the bottom of a standard refrigerator, covered by a plastic grill.